In 2018, no need to introduce the 3rd largest social network in the world (after Facebook and Youtube). With over 800 million users from Brazil to India, Instagram has reached a very large audience: 32% of Internet users are Instagramers! The platform rapidly attracted graphic artists, eager to showcase their work to a wide audience. But the competition became very tough out there. Managing a successful account on Instagram as an artist, trying to be seen, can sometimes be really hard. Thanks to our app Walli, launched 2 years ago, we got the chance to work with successful artists. We asked a few of them for insights on Instagram, and with their thorough feedbacks, we were able to list 9 essential tips for any artist who is trying to make his way on Instagram. Those are not just tips on how to get the maximum number of followers. This is more about how to create a quality account, avoid spam accounts and gather real fans. A big thank you to Elia Columbo (@gebelia, 63.6k followers), Joey Guidone (@joeyguidone, 12.4k followers), Farhad Khodayari (@gurenworld, 11.2k followers), Diego Hernandez (@j.diegoph, 72k followers), Mukul Saini (@_.artfreak_, 13.2k followers) & Julien Clauzier (@juliendreamdesign, 26.5k followers) for sharing their experiences with the team at Walli! Having a special theme helps your followers to have a better connection with your work. 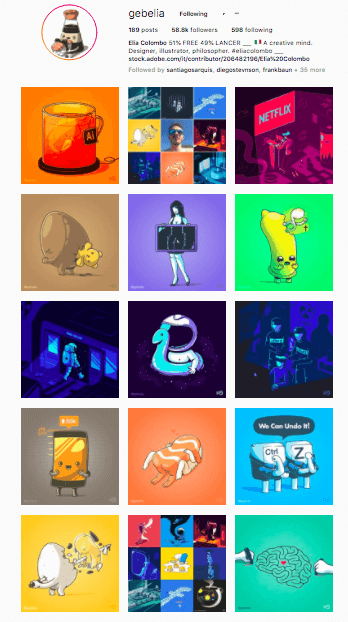 At Walli, when we are looking for new artists, the artists with a unique visual style always catch our attention. If you are an illustrator, your drawing style will probably speak for itself, as it does for Elia Colombo. But for photographers and photo editors, it can be more difficult: you can either specialize on a special topic, or you could also pay attention to the colors you use. As you can see below, Diego Hernandez will publish photos with a dominance of pink and pastel colors. This creates a beautiful aesthetic when you have a look at his profile page, but it’s also an easy way for his followers to recognize his style. There is a tough competition between photo editors, and Diego’s profile clearly stands out. Elia Colombo will distinguish himself by his drawing style, but also his use of colors: all his artworks have one main color: blue, yellow, purple, orange combined with black and white. Captions are also a great opportunity to tell your followers more about the context of the image: what is its meaning, is it a commission work, a collaboration, how did you create it (software and tools used)? All of the artists we interviewed tend to keep their Instagram profiles professional: they prefer not to post personal content. Everything is related to their art. If you want to diversify and show a little more of yourself, start with posting your work environment or your work in progress. If you really want to show a more personal side of yourself, then it is advised to use the stories feature for that purpose. 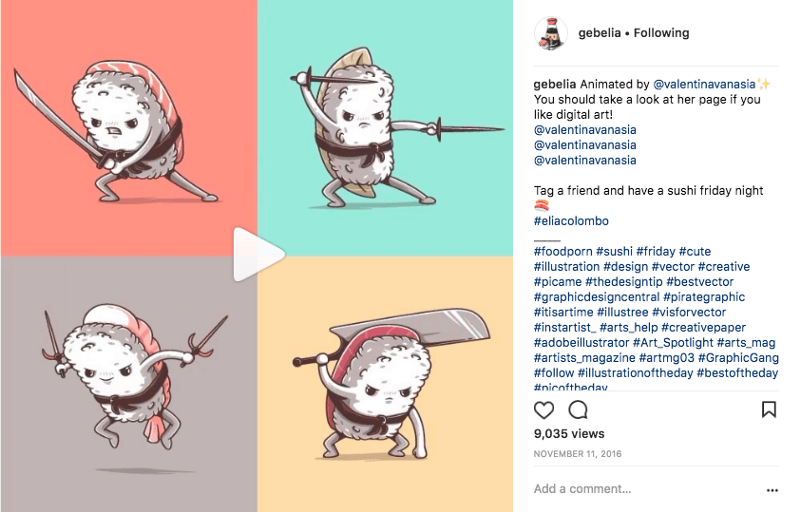 A wise use of hashtags can get you a lot of visibility and might also lead to a repost by a popular account, which many artists agree, can boost your audience quickly and efficiently. Making a combo of very widely used hashtags and also less popular ones can be clever. On very popular hashtags, users will see your image for a limited time. 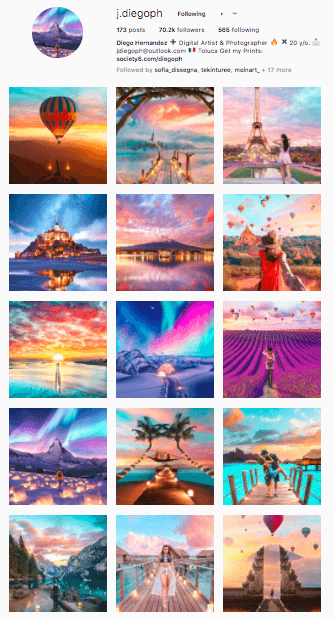 Many new images are posted under the popular hashtags like “illustration” and very soon your image disappears in the flow of the posts. However, less popular hashtags, more targeted, will be seen by fewer people, but since fewer images are posted under that keyword, you will remain longer at the top of the feed of that hashtag and you have more chance to land in the popular images showing up at the beginning of the screen when looking up for that specific hashtag. To help you out, we listed a suggestion of hashtags, one recommended for illustrators/graphic designers and the other for photographers/photo editors. If interested, you can send us an email at the address given at the bottom of the article and we will send it to you! 5. 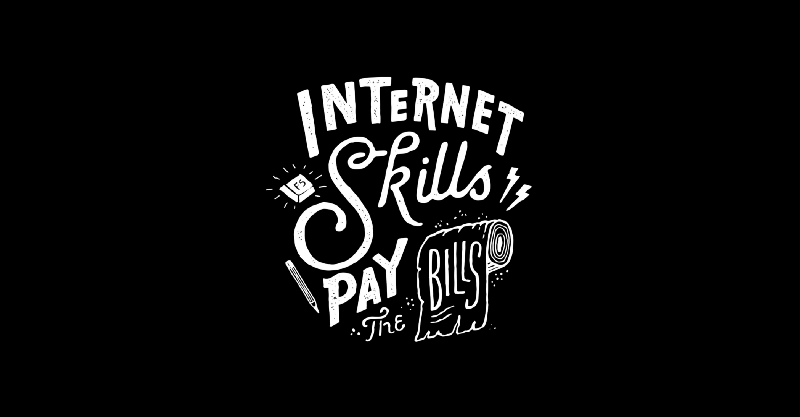 Find the posting pace that fits you best. There is no strict rule. Let’s break the myth saying that you need to post at least X times per week/day. From what we saw by monitoring the activity of several successful artists on Instagram, there are no strict rules! The most important thing is to find your own pace. Elia Colombo explains that his publications frequency depends on his creative flow; whenever he finishes a new artwork, he will post it. It can be once a week, or sometimes once every 2 weeks. And this doesn’t seem to penalize him, his number of followers on Instagram keeps growing and he receives a good engagement on his posts. Diego Hernandez, however, would be posting almost once every 2 days. That being said, if you are about to start a new account on Instagram, it can be a good idea to post regularly, to gather an interesting audience faster: Elia specified that at first, he had enough artworks ready to post every day for a few months. On another point, Mukul Saini suggests that posting too much is not good as well. According to him, it is best to set a maximum limit of one post per day. This makes sense when you think about it: if you post a lot, you might overflow the feed of your followers and might annoy them, which will lead to a higher probability of hitting the unfollow button. In conclusion, if we had to give a number, we could say that on average, the most practiced frequency would be about 3 to 4 posts per week. So posting once every 2 days seems to be a good pace. But keep in mind that the most important thing is to stay consistent. So post less if you feel that it’s too much for you. It’s no secret: the more exchange you initiate with your followers or potential followers, the better it is. But of course, this can take time: Mukul Saini, Diego Hernandez, and Farhad Khodayari spend between 3 and 4 hours a day on the platform, interacting with their followers on several levels! It starts by taking the time to reply to comments/messages you receive. Replying to everyone proves that you read their comments, that you care! Elia Colombo says that he tries to get back to every single direct message he receives. It is also important to commit a few hours per week to explore other users’ accounts, like and comment, to show that you care and give back the love they give you. If you feel like your followers don’t comment a lot on your posts, you can invite them to comment more and go further than hitting the “like” button. “Something I like to do is motivate them to comment, ask questions in the caption of the post,” says Diego Hernandez. If you look at his past posts, you will see that he is quite creative: It goes from “which photos made you want to follow me?” , “where are you from?” to “tag someone you would like to be here with” or “post your flag as a comment”. This tip is closely linked to engagement. Commenting on other artists’ posts, giving them feedback or encouraging them has proved to be rewarding. Create ties with artists you like, get to know them, befriend them. It is important to be close to other fellow artists, to count a good proportion of them in your followers. First of all, comments are a great way to attract new followers. Whenever you comment on another artist’s post, if you write something pertinent and interesting, this will bring the attention to you, and users will eventually tap on your name to go check out your profile. If your content is similar or close to the artist you commented on, there are good chances that the user will be curious and will start following you. This will also lead to feedbacks on your own work, which always helps to get better, and who knows, maybe to collaborations with other artists. If you didn’t do it yet, turn your Instagram profile into a business profile to get insights. This will give you access to useful stats, like the number of impressions you have per week (the number of times your posts are seen) and per post, where your audience is from, how old they are, when they are most active, or also how many times your profile page was seen. Those numbers will be of great help to decide when to post, and what kind of posts to emphasize on. – Set a duration to spend on Instagram per day or week to engage with your audience and other artists. – Schedule your posts for the week to come, or for 2 weeks. Several tools can help you out: at Walli, we use Hootsuite, which allows you to manage other Social Network accounts too. They have a free subscription which is sufficient for an artist’s needs. – Set goals: this will help you to keep motivated. Indeed, the hardest part of investing yourself seriously on Instagram can often be to commit and not to give up. For example, you could try to set a number of followers to reach by the end of the year. Although you shouldn’t focus only on this, that’s an easy and fun metric to watch for, when you start. 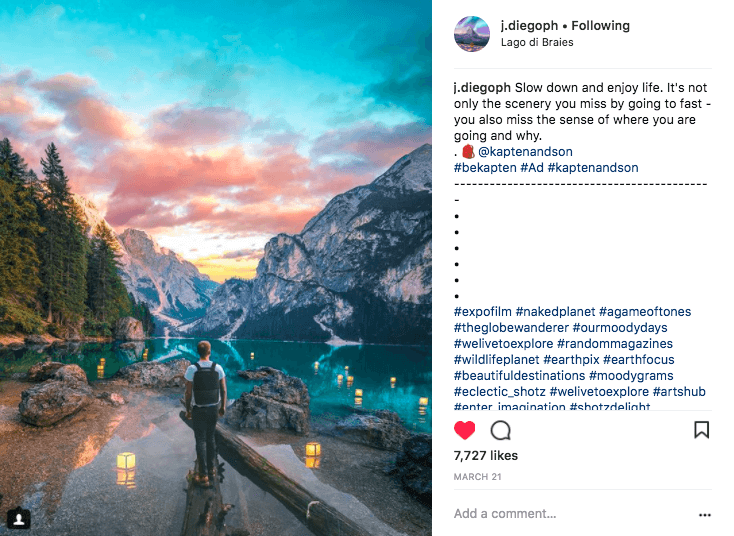 Another way to get reposted, in addition to using hashtags, is to tag popular Instagram accounts, hoping to get noticed by them. Among them, we include accounts of magazines or big companies like Adobe, but also curators that have been getting popular for the past few years. 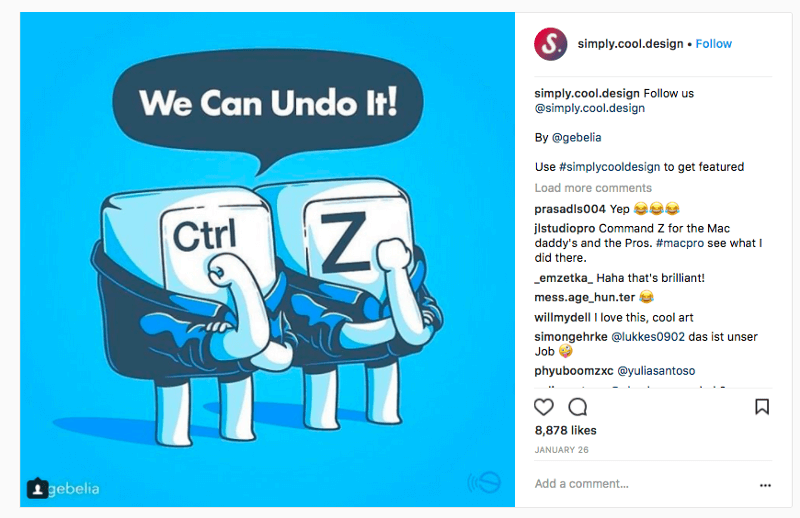 Julien Clauzier recommends 2 important accounts that curate and repost artists: @simply.cool.design which has more than 450k followers & @thedesigntalks with more than 300K followers. He has been reposted by both of them and experienced increases of hundreds of followers each time, in the hours following the repost. Of course, don’t spam them. Don’t tag them on all of your posts, but on the ones that you think are related to them or of some interest to them and their audience. If you are interested in receiving our suggested list of popular accounts, you can send us an email at the address given at the bottom of the article. – Numbers speak for themselves. 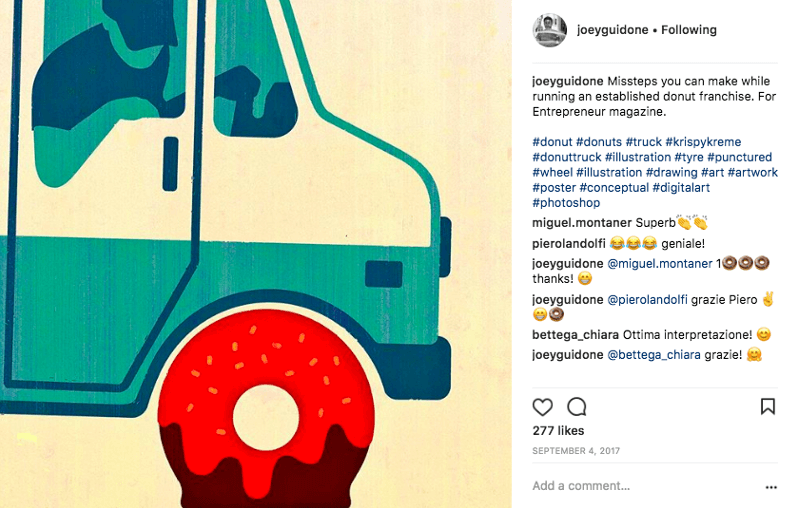 Even if your number of followers is not a mean to an end, according to Joey Guidone “having a good fan base on your social media is good because it means that your work raises interest in people. Art buyers know that!” The simple fact of having an active and popular account raises interest in your art and make it more valuable. Art buyers will be more inclined to purchase one of your pieces if they see that other people value your work. – Commissions. This is what most artists are expecting from Instagram. A quality audience means people who are truly interested in what you do, not just users that follow you for a follow back. This means potential contacts for commission jobs: from a print order to illustrate the cover of a magazine! – Collaborations with brands. Elia Colombo, who worked with numerous big companies like Nissan and Adobe, says “The more audience you have, the more you become an interesting subject for brands that want to promote their stuff!”. That’s all for today. We wish you all to find success with your art and hope that our tips will help you get on the right track with your Instagram accounts! Did you find this article useful? Do you want us to write more articles like this one? Give us a clap, drop us a line or two in the comment or write to us at “contact [a] shanga.co” to say hi or to ask us our suggested list of hashtags and popular accounts. Illustration by Tatak WaskithoIn 2018, no need to introduce the 3rd largest social network in the world (after Facebook and Youtube). With over 800 million users from Brazil to India, Instagram has reached a very large audience: 32% of Internet users are Instagramers! If you are an illustrator, your drawing style will probably speak for itself, as it does for Elia Colombo. But for photographers and photo editors, it can be more difficult : you can either specialise on a special topic, or you could also pay attention to the colors you use. As you can see below, Diego Hernandez will publish photos with a dominance of pink and pastel colors. This creates a beautiful aesthetic when you have a look at his profile page, but it’s also an easy way for his followers to recognise his style. There is a tough competition between photo editors, and Diego’s profile clearly stands out. Elia Colombo will distinguish himself by his drawing style, but also his use of colors : all his artworks have one main color: blue, yellow, purple, orange combined with black and white. Work in progress by @juliendreamdesignIf you really want to show a more personal side of yourself, then it is advised to use the stories feature for that purpose. However, less popular hashtags, more targeted, will be seen by less people, but since less images are posted under that keyword, you will remain longer at the top of the feed of that hashtag and you have more chance to land in the popular images showing up at the beginning of the screen when looking up for that specific hashtag. Elia Colombo explains that his publications frequency depends on his creative flow; whenever he finishes a new artwork, he will post it. It can be once a week, or sometimes once every 2 weeks. And this doesn’t seem to penalise him, his number of followers on Instagram keeps growing and he receives a good engagement on his posts. Diego Hernandez, however, would be posting almost once every 2 days. On another point, Mukul Saini suggests that posting too much is not good as well. According to him, it is best to set a maximum limit of one post per day. This makes sense when you think about it : if you post a lot, you might overflow the feed of your followers and might annoy them, which will lead to a higher probability of hitting the unfollow button. In conclusion, if we had to give a number, we could say that in average, the most practiced frequency would be about 3 to 4 posts per week. So posting once every 2 days seems to be a good pace. But of course, this can take time: Mukul Saini, Diego Hernandez and Farhad Khodayari spend between 3 and 4 hours a day on the platform, interacting with their followers on several levels! “Something I like to do is motivate them to comment, ask questions in the caption of the post” says Diego Hernandez. If you look at his past posts, you will see that he is quite creative: It goes from “which photos made you want to follow me?” , “where are you from?” to “tag someone you would like to be here with” or “post your flag as a comment”. Those numbers will be of great help to decide when to post, and what kind of posts to emphasise on. – Numbers speak for themselves. Even if your number of followers is not a mean to an end, according to Joey Guidone “having a good fan base on your social media is good because it means that your work raises interest in people. Art buyers know that!” The simple fact of having an active and popular account raises interest in your art and make it more valuable. Art buyers will be more inclined to purchase one of your pieces, if they see that other people value your work. – Commissions. This is what most artists are expecting from Instagram. A quality audience means people who are truly interested in what you do, not just users that follow you for a follow back. This means potential contacts for commission jobs: from a print order to illustrating the cover of a magazine! That’s all for today. We wish you all to find success with your art and hope that our tips will help you getting on the right track with your Instagram accounts!